Mirrorless cameras are here to stay. The argument to own one isn't only about them being small and lightweight anymore, because nowadays many mirrorless shooters rival DSLRs in image quality -- something that would've been unimaginable a decade or so ago. Today, the likes of the Sony A7 III, Nikon Z7, Canon EOS R and Panasonic S1R are some of the best cameras, period. But none of these flagships would exist today if it weren't for the hundreds of Micro Four Thirds and APS-C models that came before them, some of which are still popular and have paved the way for manufacturers to turn photographers and videographers alike into mirrorless fans. In the early days, mirrorless interchangeable lens cameras suffered from a lack of native lenses, but that's changed drastically over the past few years. For example, Sony will soon make 60 lenses for its E-mount cameras, which include APS-C models such as the A6500 and full-frames like the A9 and A7 III. Canon, too, is committed to the cause: In February, it announced that, by the end of 2019, it'll produce nine lenses compatible with its EOS R and EOS RP full-frame mirrorless cameras, which isn't bad for a system that is less than a year old. These moves show that camera brands see the mirrorless space as a key part of their future, not just as a way to sell cheaper products. That's not to say budget-friendly mirrorless cameras like the $450 Canon M100 aren't great for beginners or that professional-grade DSLRs are going away anytime soon. It just means that we're at a point where mirrorless cameras are becoming ubiquitous, and that's a good thing for consumers all around. It also means that, thanks to top-of-the-line full-frame mirrorless cameras and their native glass, professionals are taking them seriously. Regardless of how you personally feel about mirrorless cameras -- maybe you love them, maybe you hate them -- nobody can question their rise. But, as mentioned earlier, camera manufacturers have had to learn, adapt and, of course, innovate in the process. Sure, not every mirrorless shooter is or has been great, but each one has played a role in shaping the category for the better. For every Nikon Z6 or Z7, there had to be a V1 or J1. (Remember those?) So, with that said, let's take a look at some mirrorless highlights in recent memory. The first true consumer mirrorless came from a source known for printers more than cameras: Epson. In 2004, long before Canon, Nikon, Panasonic or Sony even got into the space, the company revealed the R-D1 digital rangefinder, a mirrorless interchangeable lens shooter with a 6.1-megapixel APS-C sensor, 200-1,600 ISO range, 1:1 optical viewfinder and a 2.5-inch fixed LCD. The R-D1, which took Leica M-mount lenses, cost a whopping $3,000 at launch. That may seem like a hefty price tag for 2004, but you have to remember that Epson's R-D1 was basically one of a kind back then. Not to be outdone by Epson, Leica came out with its own mirrorless interchangeable lens camera in 2006. Like Epson's R-D1, Leica's M8 was a digital rangefinder that combined a retro look and feel with emerging technology. The M8 featured a 10.3-megapixel APS-H sensor, 800-2,500 ISO and a max shutter speed of 1/8,000 of a second. It also had an optical viewfinder and 2.5-inch LCD on the back, similar to the Epson R-D1. Naturally, as has been the case historically with Leica cameras, the M8's body was all-metal. And you wouldn't have expected anything less for $5,500, which is what Leica priced the camera at launch. The Epson R-D1 and Leica M8 inspired the creation of multiple new formats for interchangeable lens mirrorless cameras, the most important being Micro Four Thirds (MFT), which was launched by Panasonic and Olympus in August of 2008. This new system was developed as a way for these companies to offer "50 percent" slimmer cameras than DSLRs, all without giving up on image quality. A month after the announcement of Micro Four Thirds, Panasonic's Lumix G1 was born. The world's first MFT camera featured a 12.1-megapixel "Live MOS" sensor, 100-1,600 ISO, optical image stabilization and a high-resolution 3-inch LCD. Most importantly, perhaps, the Lumix G1 had autofocus -- something missing from the Epson RD-1 and Leica M8. It also only cost $800, much less than the first two mirrorless systems that came to market. The Lumix G1 may not have been the prettiest thing to look at, but it marked the beginning of the Micro Four Thirds revolution. In 2009, Olympus launched its first Micro Four Thirds camera, the EP-1. The "digital Pen," as the company liked to call it, was an $800 mirrorless with a 12.3-megapixel Live MOS sensor, 100-6,400 ISO range, an 11-point autofocus system and 720p HD video. In addition to that, the E-P1 only weighed 335 grams (roughly 12 ounces), which made it fall in line with Panasonic's and Olympus' promise of making Micro Four Thirds the new standard for compact cameras. 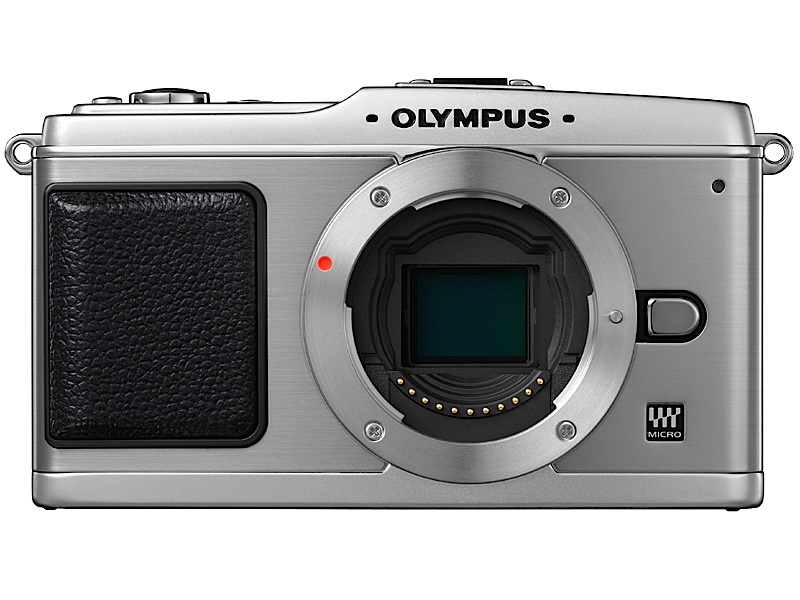 For Olympus, the E-P1 was just the start of its major push into the Micro Four Thirds space. The company went on to create its OM-D series in 2012, starting with the E-M5, which had a 16-megapixel sensor and built-in five-axis image stabilization. Since then, Olympus has launched dozens of MFT shooters, from entry-level models like the OM-D E-M10 to its latest flagship, the $3,000 OM-D E-M1 Mark II. Sony wasn't interested in joining the Micro Four Thirds party and, in May of 2010, introduced its own interchangeable lens mirrorless cameras, the NEX-3 and NEX-5. Described by Sony as "ultra-compact DSLRs," the NEX-3 and NEX-5 both featured a 14.2-megapixel sensor, 200-12,800 ISO, 7fps continuous shooting, a 3-inch LCD and a 25-point autofocus system with face detection. For mirrorless cameras then, these specs were as good as you could get. The main difference between the pair was that the NEX-3 recorded video at 720p, while the NEX-5 could shoot up to 1080p. The company also made sure they were relatively affordable, at least compared to DSLRs in 2010. It priced the NEX-3 and NEX-5 at $550 and $700, respectively. It's hard to know if Sony knew it back when it launched these cameras, but the NEX series were the perfect mold for what would come next: the Alpha full-frame mirrorless cameras. Before we jump into Sony's full-frame Alpha A7 and A7R, which is when mirrorless cameras started to get seriously good, we have to talk about some flops: Nikon's 1 and Samsung's NX interchangeable lens systems. Nikon took its first shot at the mirrorless category in 2011 with the J1 and V1, which featured 10.1-megapixel CMOS sensors, 10fps continuous shooting, 120fps slow-motion video capture mode, high-resolution electronic viewfinders and 1080p video. The company said the Nikon 1 series was all about speed, promising to offer a faster camera than Olympus' PEN E-P3 Micro Four Thirds, which was introduced just a few months before its J1 and V1. Nikon went on to launch several models of its 1 mirrorless cameras after 2011, but the fact is they never caught on with photographers or videographers. While they often looked great on paper, models like the J1 and V1 just didn't perform as expected. The photos they produced weren't great, the UI was sluggish and they just weren't as fast as Nikon promised. As a result, the camera-maker officially pulled the plug on the Nikon 1 series in 2018, as it looked to focus on its upcoming full-frame mirrorless camera. Samsung faced a similar fate with its NX mirrorless lineup, which it announced in 2010. The first model to be part of that was the NX10, a 14.6-megapixel interchangeable lens shooter with 3fps continuous shooting, 100-3,200 ISO, 720p video and a 3-inch LCD. Priced at $700 with an 18-55mm kit lens, the NX10 was deemed by a number of photography publications as a worthy rival for Micro Four Thirds cameras. Unfortunately, that's as good as it got for Samsung. While the company did have one of the first 4K-ready mirrorless cameras in the NX1, the demand for NX cameras simply wasn't there -- and there hasn't been a new model since 2015. Hey, at least Samsung tried. People will look back at the Sony Alpha A7 and 7R as the start of Sony's dominance in the mirrorless game. In 2013, mirrorless cameras were mostly limited to APS-C and Micro Four Thirds sensors for the most part. But Sony changed all that with the A7 and A7R, which featured 24.3- and 36.4-megapixel full-frame CMOS sensors, respectively. Although Leica's M9 (from 2009) was technically the first full-frame ILC mirrorless camera, Sony's A7 and A7R were the first to sport an autofocus system. Not only did the A7 and A7R have massive, high-resolution sensors, but they packed a bunch of other notable specs, including a max ISO of 25,600, 5fps continuous shooting, a hybrid phase- and contrast detection autofocus and 1080p video. Better yet, they performed like you would expect with those features -- pictures from it were as close as you could get to those from a high-end DSLR. At $1,700 (A7) and $2,300 (A7R) body-only, they weren't cheap cameras by any means. But with the A7 and A7R, Sony essentially created a new gold standard for mirrorless cameras, and they are the reason why the company has owned the market since 2013. Now with cameras like the A7III ($1,198), A7R III ($2,978) and A9 ($4,498), Sony has three of the most powerful cameras at the moment. For instance, the A9, which arrived in 2017, has a 24.2-megapixel full-frame CMOS sensor and it can shoot up to 241 RAW images at an insane 20 fps. That's thanks in large part to an imaging processor that, according to Sony, is 20 times faster than any of the Alpha mirrorless shooters that came before it. Fujifilm has had success with its APS-C X series cameras since 2011, when it launched the Finepix X100, which featured a hybrid viewfinder (optical plus electronic) that was unlike any other at the time. And that was only the beginning. At Photokina 2016, Fujifilm made a huge with the introduction of the GFX 50S, a mirrorless camera with a giant medium-format 51.4-megapixel sensor. For Fujifilm, the GFX 50S was to create a camera that was outside the norms of what a mirrorless system should be. At $6,500, the GFX 50S wasn't designed to be a camera for your average consumer, and it showed that mirrorless shooters didn't have to be limited to full-frame sensors and compact bodies. But Fujifilm didn't stop there. In 2018, the company revealed the GFX 50R and GFX 100, featuring 51.4- and 100-megapixel medium-format sensors, respectively. The GFX 100, in particular, takes the concept of the GFX50S from 2016 to a whole new level. While Fujifilm says this beast is still a work in progress, the GFX 100 will have in-body image stabilization and 4K video-recording at 30 fps. Oh, and it's expected to cost around $10,000 when it arrives later in 2019, so time to start saving up. Thanks, Fujifilm. Mirrorless cameras will never be the same. And to think this all started with the Epson R-D1 in 2004. Fifteen years later, the state of mirrorless cameras is healthier than it's ever been, thanks to recent launches by some of the biggest players in the business. While Sony's full-frame Alpha cameras had virtually had no competition for six years, that's now changed. Over the past few months alone, Canon, Nikon and Panasonic have all, at last, launched their own full-frame mirrorless cameras. Canon has its flagship EOS R ($2,299) and the stripped-down EOS RP ($1,299). Nikon, meanwhile, hopes to use what it learned from its J1 mirrorless system to do things differently with the Z6 ($1,997) and Z7 ($3,397), which are feature-packed and solid options for both photographers and videographers. Panasonic, for its part, is building on the success of its Lumix GH series to with the full-frame S1 ($2,498) and S1R ($3,698) -- two of the most exciting mirrorless cameras since Sony's A7 and A7R. The road for some of these companies wasn't easy -- and yes, there were duds along the way -- but there has never been a better time to buy a mirrorless camera.